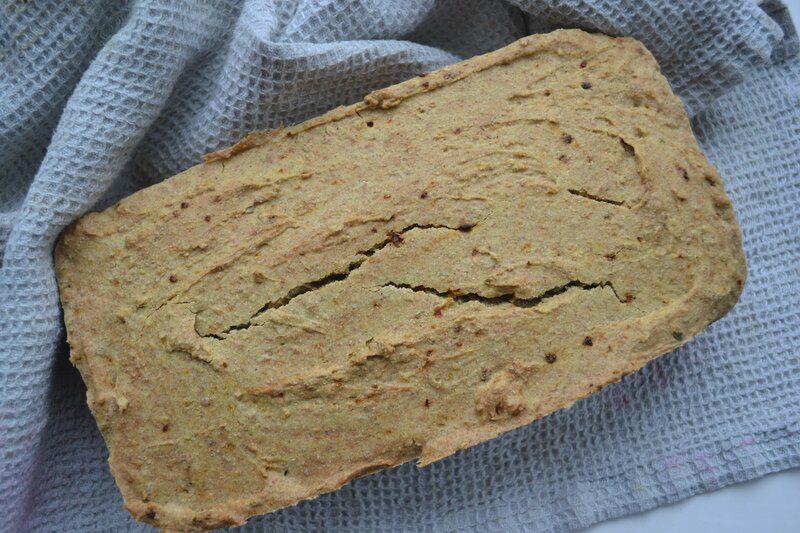 Buckwheat Bread Recipe: Gluten Free! Buckwheat bread is a great alternative to breads containing gluten and is extremely easy to make! Preheat oven to 200 degrees Celsius.In a large mixing bowl, sieve the flour and add the rest of the dry ingredients.Add the eggs to the middle of the mixture, whisk, then add the olive oil and a small amount of water.mix while adding water little by little.You should end up with an even dough, which can be now set aside.take out a loaf tin and using a dairy free spread or even olive oil (lightly), grease the edges, and then transfer the dough mixture into the tin.Place into oven for 25-30 mins until cooked throughout.Remove and allow cool.